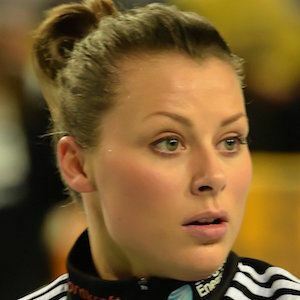 Norwegian handball player known for her time with Larvik HK and the Norwegian national handball team. She signed a three-year contract with Györi ETO starting in the 2016-2017 season. She made her debut at 19-years-old, appearing with the national team in September of 2010. She won six straight Norwegian Championships from 2009 to 2015 and was named Player of the Year in 2015. Her twin sister Thea is also a professional handball player and they've played together with Larvik HK. She and Gro Hammerseng have played together on the Norwegian national team.